Leland Stanford Junior University, commonly known as Stanford University, is a private university located 37 miles southeast of San Francisco and 20 miles northwest of San Jose in Stanford, California. 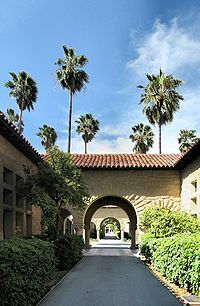 Situated adjacent to the city of Palo Alto, California, Stanford lies at the heart of Silicon Valley. Stanford opened on October 1, 1891, with 559 students, 15 faculty, and free tuition. Located on 8,183 acres, much of the campus was rebuilt following earthquakes in 1906 and 1989. Today, Stanford enrolls close to 7,000 undergraduates and over 8,000 graduate students, and has approximately 1,900 faculty members. The university is considered a top-tier, educational institution and is one of the most selective schools in America. Its acceptance rates, both undergraduate and graduate, and its rankings perennially evidence this fact. The university offers undergraduate programs in the humanities and social sciences, particularly creative writing, history, political science, economics, communication, musicology, and psychology and a wide range of professional, graduate courses. Stanford's business, engineering, and sciences programs have spawned such prominent Silicon Valley companies as Hewlett-Packard, Cisco Systems, Yahoo!, Google, and Sun Microsystems—the "Sun" originally standing for "Stanford University Network." As a pioneer in computer technology and the development of the Internet, Stanford has contributed greatly to establishment of the global culture that transcends national boundaries, empowers individuals, and brings the world closer together. It has also produced national leaders. 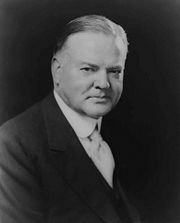 One of its first students, Herbert Hoover, went on to become the President of the United States, and several of its professors have been Secretary of State or Secretary of Defense. In addition, Stanford's Hoover Institution on War, Revolution, and Peace has provided key research on Communism and continues do important work in analyzing contemporary threats to peace. To respect free inquiry, to enable the search to know, and to provide for an uninhibited, robust, and wide-open debate… The university is foremost a place for teaching, learning, and research. Its fundamental purpose is not the resolution of political issues—no matter how pressing or how important (Casper, Gerhard). Stanford's undergraduate program is ranked fourth among national universities by U.S. News and World Report. Shanghai Jiao Tong University ranked it third among world universities and second among universities in the Americas. It is ranked sixth among world universities in the THES—QS World University Rankings, and is in the first tier among national universities by The Center for Measuring University Performance. In 2006, Stanford's undergraduate admission rate was 10.8 percent, from a pool of 22,223 applicants—the lowest rate of undergraduate admission in the history of the university. The acceptance rates at the university's law school (7.7 percent), medical school (3.3 percent), and business school (10 percent) are also among the lowest in the country. 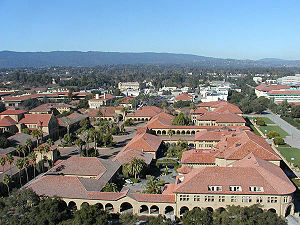 Stanford built its international reputation as the pioneering Silicon Valley institution through top programs in business, engineering, and the sciences, spawning such companies as Hewlett-Packard, Cisco Systems, VMware, Nvidia, Yahoo!, Google, and Sun Microsystems—indeed, "Sun" originally stood for "Stanford University Network." In addition, the Stanford Research Institute operated one of the four original nodes that comprised ARPANET, predecessor to the Internet. Stanford was founded by railroad magnate and California Governor Leland Stanford and his wife, Jane Stanford. 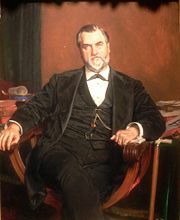 It is named in honor of their only child, Leland Stanford, Jr., who died of typhoid just before his sixteenth birthday. Locals and members of the university community are known to refer to the school as The Farm, a nod to the fact that the university is located on the former site of Leland Stanford's horse farm. 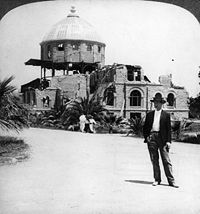 The ruins of Stanford Library after the 1906 San Francisco earthquake. The University's founding grant was written on November 11, 1885, and accepted by the first Board of Trustees on November 14. The cornerstone was laid on May 14, 1887, and the University officially opened on October 1, 1891, to 559 students, with free tuition and 15 faculty members, seven of whom hailed from Cornell University. Among the first class of students was a young future president Herbert Hoover, who would claim to be the first student ever at Stanford, by virtue of having been the first person in the first class to sleep in the dormitory. The school was established as a coeducational institution although it maintained a cap on female enrollment for many years. In the summer of 1886, when the campus was first being planned, Stanford brought the president of Massachusetts Institute of Technology, Francis Amasa Walker, and prominent Boston landscape architect Frederick Law Olmsted westward for consultations. Olmsted worked out the general concept for the campus and its buildings, rejecting a hillside site in favor of the more practical flatlands. Charles Allerton Coolidge then developed this concept in the style of his late mentor, Henry Hobson Richardson, in the Richardsonian Romanesque style, characterized by rectangular stone buildings linked by arcades of half-circle arches. The original campus was also designed in the Spanish-colonial style common to California known as Mission Revival. The red tile roofs and solid sandstone masonry hold a distinctly Californian appearance and most of the subsequently erected buildings have maintained consistent exteriors. The red-tile roofs and bright, blue skies common to the region are a famously complementary combination. Much of this first construction was destroyed by the 1906 San Francisco earthquake. The earthquake destroyed parts of the Main Quad (including the original iteration of the Memorial Church) as well as the gate that first marked the entrance of the school but the University retains the Quad, the old Chemistry Building and Encina Hall (the residence of John Steinbeck and Anthony Kennedy during their times at Stanford). After the 1989 Loma Prieta earthquake inflicted further damage, the University implemented a billion-dollar capital-improvement plan to retrofit and renovate older buildings for new, up-to-date uses. 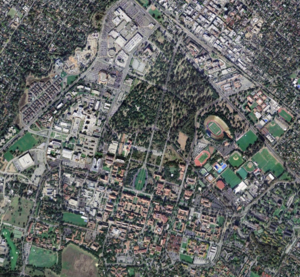 Stanford owns 8,183 acres, making it one of the world's largest by area. The main campus is bounded by El Camino Real, Stanford Avenue, Junipero Serra Boulevard, and Sand Hill Road, in the northwest part of the Santa Clara Valley on the San Francisco Peninsula. The Stanford University Libraries hold a collection of more than eight million volumes. The main library in the SU library system is Green Library. Meyer Library holds the vast East Asia collection and the student-accessible media resources. Other significant collections include the Lane Medical Library, Jackson Business Library, Falconer Biology Library, Cubberley Education Library, Branner Earth Sciences Library, Swain Chemistry and Chemical Engineering Library, Jonsson Government Documents collection, Crown Law Library, the Stanford Auxiliary Library (SAL), the SLAC Library, the Hoover library, the Miller Marine Biology Library at Hopkins Marine Station, the Music Library, and the University's special collections. There are 19 libraries in all. Digital libraries and text services include the HighWire Press, the Humanities Digital Information Services group and the Media Microtext Center. Several academic departments and some residences also have their own libraries. Stanford places a strong focus on residential education. Approximately 98 percent of undergraduate students live in on-campus university housing, with another five percent living in Stanford housing at the overseas campuses. According to the Stanford Housing Assignments Office, undergraduates live in 77 different houses, including dormitories, row houses, fraternities, and sororities. 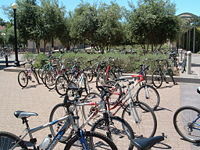 Residences are located generally just outside the campus core, within ten minutes (on foot or bike) of most classrooms and libraries. Some residences are for freshmen only; others give priority to sophomores, others to both freshmen and sophomores; some are available for upper class students only, and some are open to all four classes. All residences are coed except for seven, all-male fraternities, three, all-female sororities, and one, all-female house. In most residences men and women live on the same floor, but a few dorms are configured for men and women to live on separate floors. Several residences are considered theme houses, with a cross-cultural, academic/language, or focused theme. Examples include Chicano-themed Casa Zapata, French language-oriented French House, and arts-focused Kimball. Another famous style of housing at Stanford are the co-ops. These houses feature cooperative living, where residents and eating associates each contribute work to keep the house running. Students often help cook meals for the co-op, or clean the shared spaces. The coops are Chi Theta Chi, Columbae, Enchanted Broccoli Forest (EBF), Hammarskjöld (which is also the International Theme House), Kairos, Terra, and the Synergy cooperative house. Around 50 percent of the graduate population lives on campus. When construction concludes on the new Munger graduate residence, this percentage will probably increase. First-year graduate students are guaranteed housing, but may not get their preference of living arrangements. Contemporary campus landmarks include the Main Quad and Memorial Church, the Cantor Center for Visual Arts and art gallery, the Stanford Mausoleum and the Angel of Grief, Hoover Tower, the Rodin sculpture garden, the Papua New Guinea Sculpture Garden, the Arizona Cactus Garden, the Stanford University Arboretum, Green Library, and the Dish. Frank Lloyd Wright's 1937 Hanna-Honeycomb House and the 1919 Lou Henry and Herbert Hoover House are both National Historic Landmarks now on university grounds. Stanford University is home to the Cantor Center for Visual Arts museum with 24 galleries, sculpture gardens, terraces, and a courtyard first established in 1891 by Jane and Leland Stanford as a memorial to their only child. There are also a large number of outdoor art installations throughout the campus, primarily sculptures, but some murals as well. The Papau New Guinea Sculpture Garden near Roble Hall features handmade wood carvings and "totem poles." 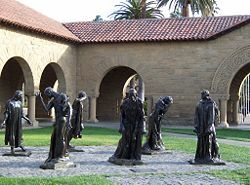 Stanford has a thriving artistic and musical community, including theater groups such as Ram's Head Theatrical Society and the Stanford Shakespeare Society, and award-winning a cappella music groups, such as the Stanford Mendicants, Stanford Fleet Street Singers, Stanford Harmonics, Mixed Company, Talisman A Cappella, and Everyday People. Stanford's dance community is one of the most vibrant in the country, with an active dance division (in the Drama Department) and over 30 different, dance-related, student groups, including the Stanford Band's Dollie dance troupe. Perhaps most unique of all is its social and vintage-dance community, cultivated by dance historian Richard Powers and enjoyed by hundreds of students and thousands of alumni. Stanford hosts monthly informal dances (called Jammix) and large quarterly dance events, including the Ragtime Ball (fall), the Stanford Viennese Ball (winter), and the Big Dance (spring). Stanford also boasts a student-run, swing performance troupe called Swingtime and several alumni performance groups, including Decadance and the Academy of Danse Libre. The creative writing program brings young writers to campus via the Stegner Fellowships and other graduate scholarship programs. This Boy's Life author Tobias Wolff teaches writing to undergraduates and graduate students. Knight Journalism Fellows are invited to spend a year at the campus taking seminars and courses of their choice. There is also an extracurricular writing and performance group called the Stanford Spoken Word Collective, which also serves as the school's poetry slam team. Stanford also hosts various publishing courses for professionals. Stanford Professional Publishing Course, which has been offered on campus since the late 1970s, brings together international, publishing professionals to discuss changing business models in magazine and book publishing. One of the many benefits of being a Stanford faculty member is the "Faculty Ghetto." It is a comfortable place where academics can live within walking or biking distance to campus. Faculty houses are bought and sold, but the land under the houses is rented: This is similar to a condominium arrangement. The Faculty Ghetto is composed of land owned entirely by Stanford. A professor may not buy a lot, but he/she can buy a house, renting the underlying land on a 99-year lease. The cost of owning a house in pricey Silicon Valley remains high, however (the average price of single-family homes on campus is actually higher than in Palo Alto), and the rapid capital gains of Silicon Valley landowners are enjoyed by the university (except the University by the terms of its founding cannot sell the land), but not by Faculty ghetto residents. Houses in the "Ghetto" may appreciate (or may depreciate), but not as rapidly as overall Silicon Valley land prices. The off-campus Jasper Ridge Biological Preserve is a nature reserve owned by the university and used by wildlife biologists for research. Hopkins Marine Station, located in Pacific Grove, California, is a marine biology research center owned by the university since 1892. The University also has its own golf course and a seasonal lake (Lagunita, actually an irrigation reservoir), both home to the endangered California Tiger Salamander. The schools of the University include the School of Humanities and Sciences, School of Engineering, School of Earth Sciences, School of Education, Graduate School of Business, Stanford Law School, and the Stanford University School of Medicine. Stanford awards the following degrees: B.A., B.S., B.A.S., M.A., M.S., Ph.D., D.M.A., Ed.D., Ed.S., M.D., M.B.A., J.D., J.S.D., J.S.M., LL.M., M.A.T., M.F.A., M.L.S., M.S.M., and ENG. The University enrolls approximately 6,700 undergraduates and 8,000 graduate students. It has approximately 1,700 faculty members. The largest part of the faculty (40 percent) are affiliated with the medical school, while a third serve in the School of Humanities and Sciences. Stanford University is governed by a board of trustees, in conjunction with the university president, provosts, faculty senate, and the deans of the various schools. Besides the university, the Stanford trustees oversee Stanford Research Park, the Stanford Shopping Center, the Cantor Center for Visual Arts, Stanford University Medical Center, and many associated medical facilities (including the Lucile Packard Children's Hospital), as well as many acres of undeveloped foothills. Other Stanford-affiliated institutions include the Stanford Linear Accelerator Center (SLAC) and the Stanford Research Institute, a now-independent institution which originated at the University, in addition to the Stanford Humanities Center. 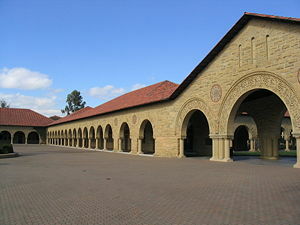 Stanford also houses the Hoover Institution on War, Revolution, and Peace, a major, public policy think tank that attracts visiting scholars from around the world, and the Freeman Spogli Institute for International Studies, which is dedicated to the more specific study of international relations. The Main Quad, at the heart of the campus. Stanford has been coeducational since its founding; however, between approximately 1899 and 1933, there was a policy limiting female enrollment to 500 students and maintaining a ratio of three males for every one female student. By the late 1960s the "ratio" was about 2:1 for undergraduates and much more skewed at the graduate level, except in the humanities. By the early twenty-first century undergraduate enrollment was split fairly evenly between the genders, but male enrollees outnumbered female enrollees about 2:1 at the graduate level. 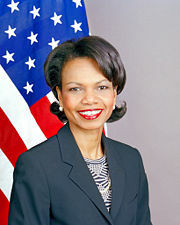 The Associated Students of Stanford University (ASSU) is the student government for Stanford University. Its elected leadership consists of the Undergraduate Senate elected by the undergraduate students, the Graduate Student Council elected by the graduate students, and the President and Vice President elected as a ticket by the entire student body. Stanford participates in the NCAA's Division I-A and forms part of the Pacific-10 Conference. It also has membership in the Mountain Pacific Sports Federation for indoor track (men and women), water polo (men and women), women's gymnastics, women's lacrosse, men's gymnastics, and men's volleyball. Women's field hockey team is part of the NorPac Conference. Stanford's traditional sports rival is California (UC Berkeley). Stanford offers 34 varsity sports (18 female, 15 male, one coed), 19 club sports, and 37 intramural sports—about 800 students participate in intercollegiate sports. The University offers about 300 athletic scholarships. The winner of the annual "Big Game" between the Cal and Stanford football teams gains custody of the Stanford Axe. Stanford's football team played in the first Rose Bowl in 1902. Stanford won back-to-back Rose Bowls in 1971 and 1972. Stanford has played in 12 Rose Bowls, most recently in 2000. Stanford's Jim Plunkett won the Heisman Trophy in 1970. 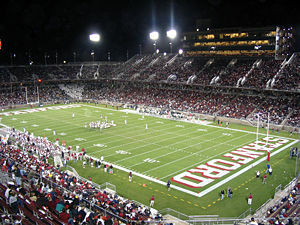 Club sports, while not officially a part of Stanford athletics, are numerous at Stanford. Sports include archery, badminton, cricket, cycling, equestrian, ice hockey, judo, kayaking, men's lacrosse, polo, racquetball, rugby (union), squash, skiing, taekwondo, triathlon, and Ultimate, and in some cases the teams have historically performed quite well. For instance, the men's Ultimate team won a national championship in 2002, the women's Ultimate team in 1997, 1998, 1999, 2003, 2005, and 2006, and the women's rugby team in 2005 and 2006. Until 1930, Stanford did not have a "mascot" name for its athletic teams. In that year, the athletic department adopted the name "Indians." In 1972, "Indians" was dropped after a complaint of racial insensitivity was lodged by Native American students at Stanford. The Stanford sports teams are now officially referred to as the Stanford Cardinal (the deep red color, not the bird), in reference to the university's official color since the nineteenth century (later cardinal and white). The Band's mascot, "The Tree", has become associated with the school in general. Part of Leland Stanford Junior University Marching Band (LSJUMB), the tree symbol derives from the El Palo Alto redwood tree on the Stanford and City of Palo Alto seals. Stanford hosts an annual U.S. Open Series tennis tournament (Bank of the West Classic) at Taube Stadium. Cobb Track, Angell Field, and Avery Stadium Pool are considered world-class athletic facilities. Stanford has won the NACDA Director's Cup (formerly known as the Sears Cup) every year for the past 12 years (the award has been offered the past 13 years), honoring the first-ranked, collegiate, athletic program in the United States. NCAA achievements: Stanford has earned 91 NCAA National Titles since its establishment (second-most by any university), 74 NCAA National Titles since 1980 (most by any university), and 393 individual NCAA championships (most by any university). 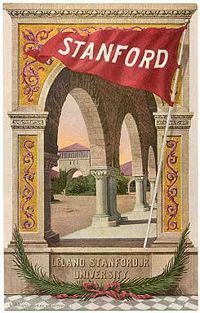 Olympic achievements: According to the Stanford Daily, "Stanford has been represented in every summer Olympiad since 1908. As of 2004, Stanford athletes had won 182 Olympic medals at the summer games; "In fact, in every Olympiad since 1912, Stanford athletes have won at least one and as many as 17 gold medals." Stanford is home to three housed sororities (Pi Beta Phi, Kappa Alpha Theta, and Delta Delta Delta) and seven, housed fraternities (Sigma Alpha Epsilon, Sigma Chi, Kappa Sigma, Kappa Alpha, Theta Delta Chi, Sigma Nu, Phi Kappa Psi), as well as a number of unhoused, Greek organizations, such as Delta Kappa Epsilon, Kappa Kappa Gamma, Chi Omega, Delta Tau Delta, Alpha Kappa Psi, Sigma Phi Epsilon, and Lambda Phi Epsilon. In contrast to many universities, all the Greek houses are on university land and in almost all cases the University also owns the house. As a condition to being recognized they also cannot permit the national organization or others outside the university from having a veto over membership or local governance. Vinton Cerf, "Father of the Internet"
↑ Stanford University, The Cares of the University. Retrieved July 26, 2007. Joncas, Richard. The Campus Guide: Stanford University. Princeton Architectural Press, 1999. ISBN 978-1568981697. Lowen, Rebecca S. Creating the Cold War University: The Transformation of Stanford. University of California Press, 1997. ISBN 978-0520205413. Spiro, Ian. Stanford University CA 2007. College Prowler, 2006. ISBN 978-1427401373. Stanford University Official Website – www.stanford.edu. Stanford Athletics Official Website – www.gostanford.com. Stanford Graduate School of Business – www.gsb.stanford.edu. Unofficial Student Guide to Stanford – unofficial.stanford.edu. This page was last modified on 20 October 2015, at 14:27.